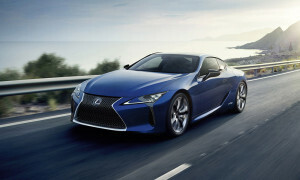 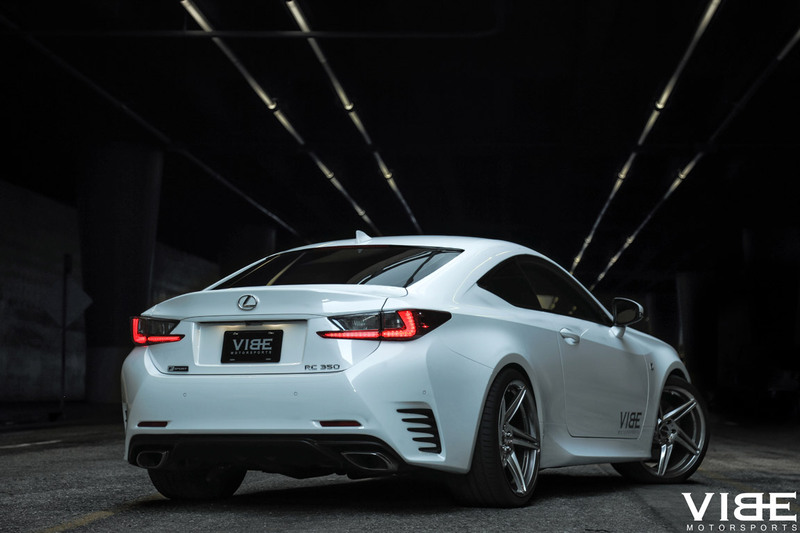 Visual aspects of performance are often a prelude to what’s really inside the vehicle when you put the ‘pedal to the metal’ – and with the 2015 Lexus RC350 F-Sport by VIBE Motorsports, the addition of California-based luxury wheel RSR’s (Road, Street, Race) new R-802 wheels, the power and performance are more than justified. 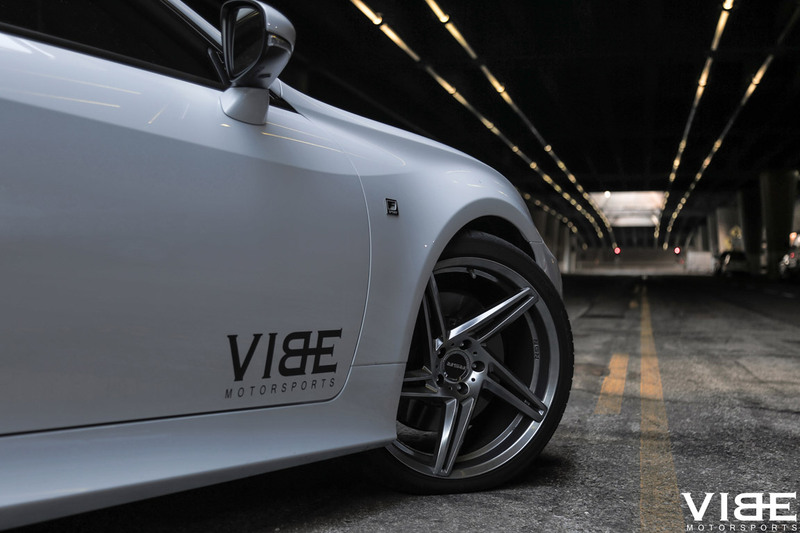 RSR is the newest brand within the MKW Alloy family of wheels, and is touting its performance capabilities on various other higher-end competitive vehicles including VIBE’s recently modified BMW M4 as well as the current Mustang 5.0 – showing the distinct attraction for well-designed flow form wheels. 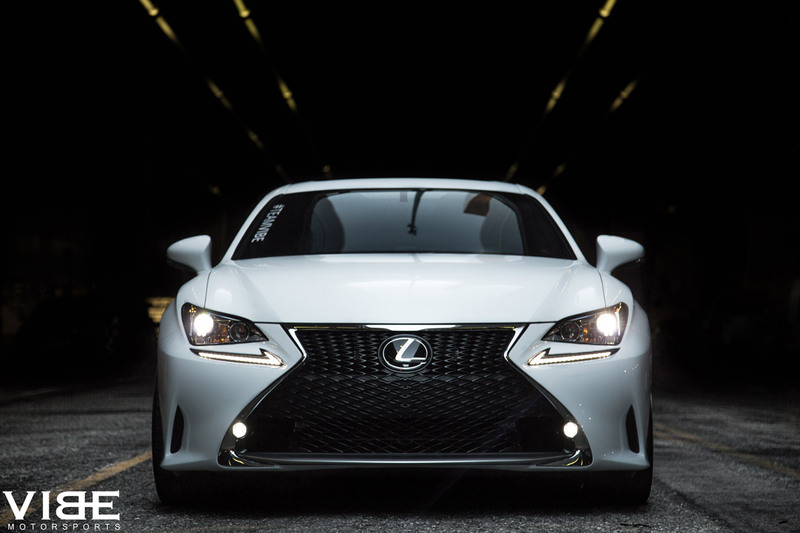 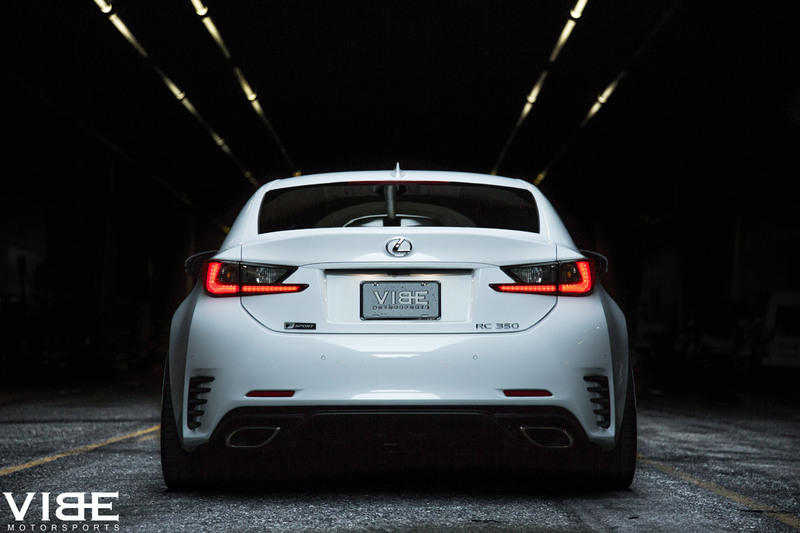 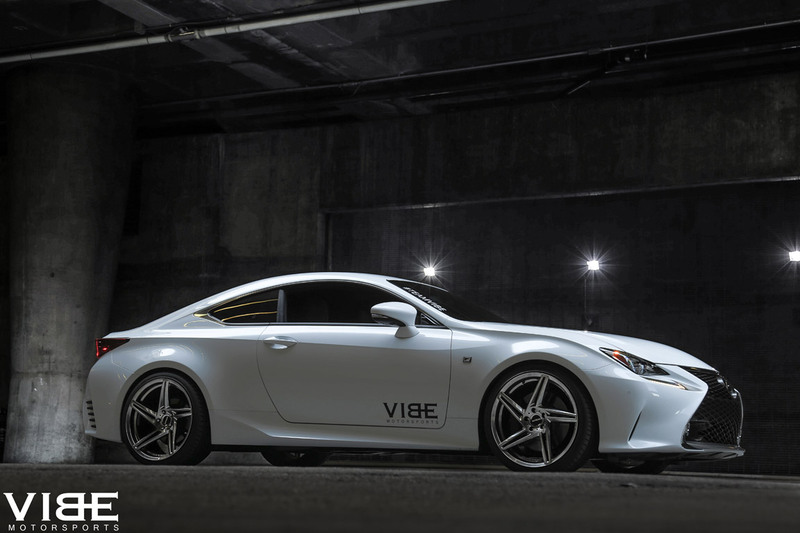 The Lexus RC350 F-Sport by VIBE Motorsports is a clear example of how to take an already impressive vehicle and step it up several notches. 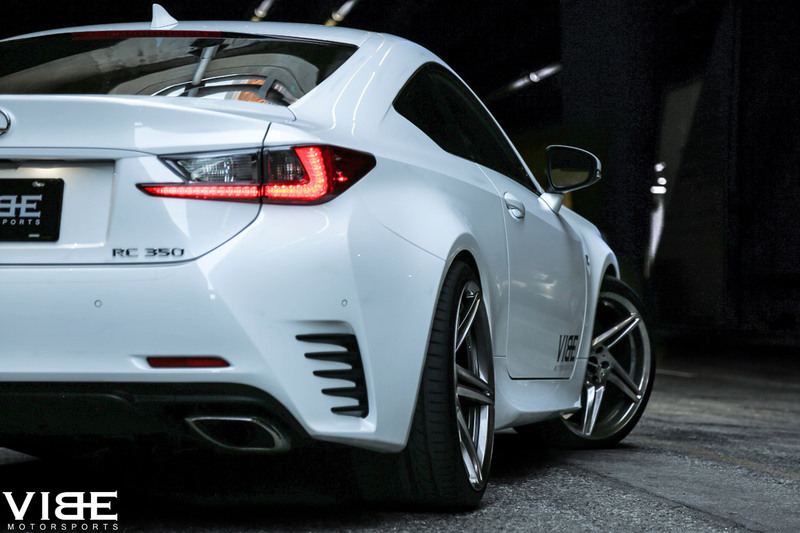 RSR’s ‘R-802’ 20x9 and 20x10.5 wheels are provided with a Hyper Black finish and utilize a flow-form manufacturing technique that according to Koenig, takes a cast aluminum wheel and lightens it by 30 percent. 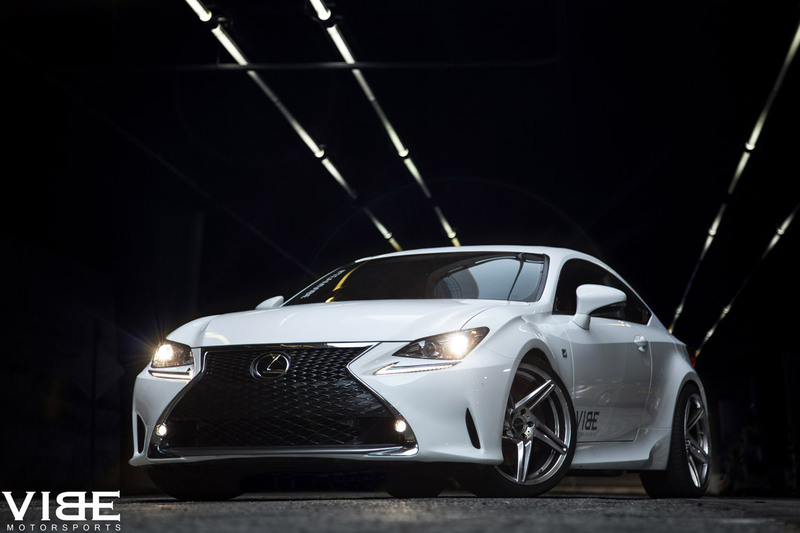 RSR’s 800 Series in particular is the mid-range step within a higher line of wheels that RSR is pursuing to benefit a luxury, yet sporty, lifestyle. 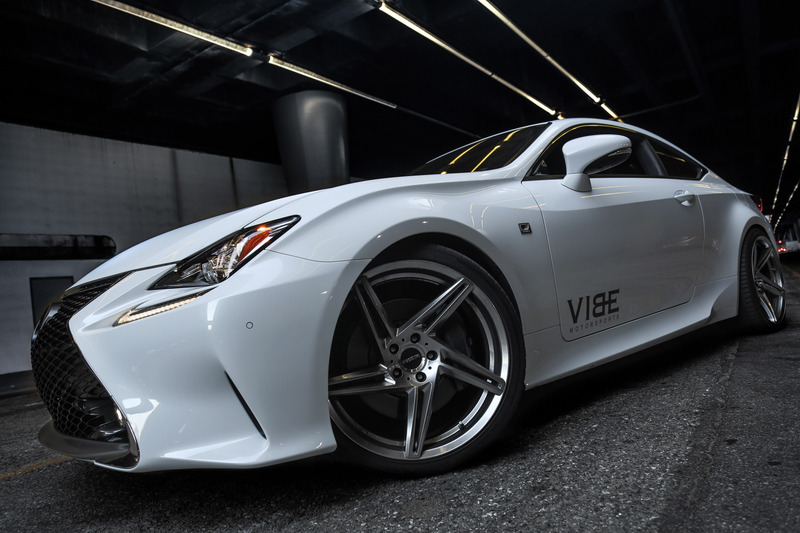 Having begun with a line of 20” wheels, which entered the market last November, larger 21” and 22” will be shown at the upcoming 2015 SEMA Show, and will be followed by RSR’s forged magnesium ‘Race’ 900 Series wheels to fit exotic car lines such as Viper, Porsche, Ferrari, Lamborghini and Corvette.